Quess chairman Issac has told a news channel that Quess East Bengal remains committed to succeed and will take every necessary step for its progress. NEW DELHI: The rift in East Bengal is getting wider by the day. Things took an ugly turn on Monday when Quess East Bengal CEO Sanjit Sen said that one needs to understand that there are three factions in the club - investing company Quess, Quess East Bengal, the faction looking into club activities, and its executive committee. Contacted by IANS following Quess chairman Ajit Issac's statement that some people were trying to politicise the current situation within the club, Sen said that it was not his domain and the chairman's office should be contacted in the matter. He went on to add that he wasn't even sent an invite for Monday's working committee meeting. "You need to understand that there are three entities (in the club) and the letter from the executive committee of the club has been sent to the chairman of Quess. We as Quess East Bengal do not have any invitation and it's the club's meeting hence we are not going to attend it," Sen said. Quess chairman Issac has told a news channel that the club remains committed to succeed and will take every necessary step for its progress. In the same statement, howvever, Isaac also blamed some members of the club for getting involved in "avoidable politics". "Some members of the EB club on the basis of a strange letter from the Football Federation have been involved with avoidable politics and we will not be drawn to that. Please work with us to help QEBFC and football in India to move forward. I want to thank all of you for your tremendous support and please note that we believe that QEBFC is a fantastic club with one of the best supporter base in the world. Together, let's make the changes to make QEBFC a world class club," he said. "We are here to play football at every competitive stage and will play the game with every effort possible, when we know that the federation will provide a level playing field and a commercial structure that is sustainable," he added. This clearly suggests that Quess is with the other seven agitating clubs who have refused to participate in the Super Cup until they are heard. Executive committee member Debabrata Sarkar reiterated that the club is interested in participating in the tournament. "We want to play, but we have to speak to the investors. We have written to them. We are yet to hear from them," he told IANS. 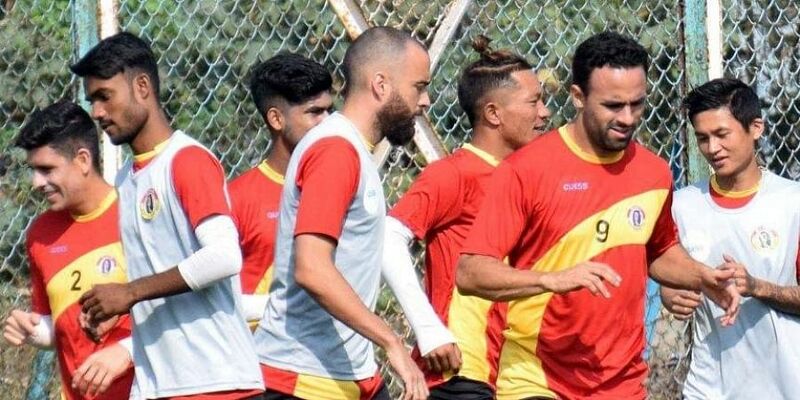 While the East Bengal club's working committee meeting is scheduled for Monday, the members are yet to hear from Quess chairman on his availability for the meeting.